If dub step, drum and bass and dance are your cup of tea, then you already know about Global Gathering, one of the biggest festivals in the world for lovers of electronic music. It began in Stratford upon Avon in 2001 at Long Marston Airfield where 25,000 people turned up for an experience very different to the one of offer in 2013. Today Global Gathering attracts 50,000 visitors and has appeared in the USA, Poland, Ukraine, Turkey, Russia, Belarus, South Korea and Australia. The organisers realised that the early 2000’s were a period of changing tastes, with many more people becoming interested in electronic music, especially in nightclubs like Birmingham’s Code. There was a huge demand for this new and exciting music and not many venues for fans to experience their favourite acts. Global Gathering filled the void with their vibrant and energetic festival perfect for the digital age. It truly is a modern celebration of modern music, with the atmosphere as electric as the tunes. From the beginning Global has been known for dance music, and it still keeps up that tradition today, but there have been changes to the festival’s philosophy that reflect shifting popular trends. For example, several acts that would never have been considered ten years ago are now some of the biggest names on the bill. By allowing a bigger variation of genres into the line-up, the festival organisers have risked alienating their core fans, but have attracted a new demographic. They have achieved a delicate balancing act, not having ‘sold out’ while managing to garner massive new revenues by diversifying their approach. 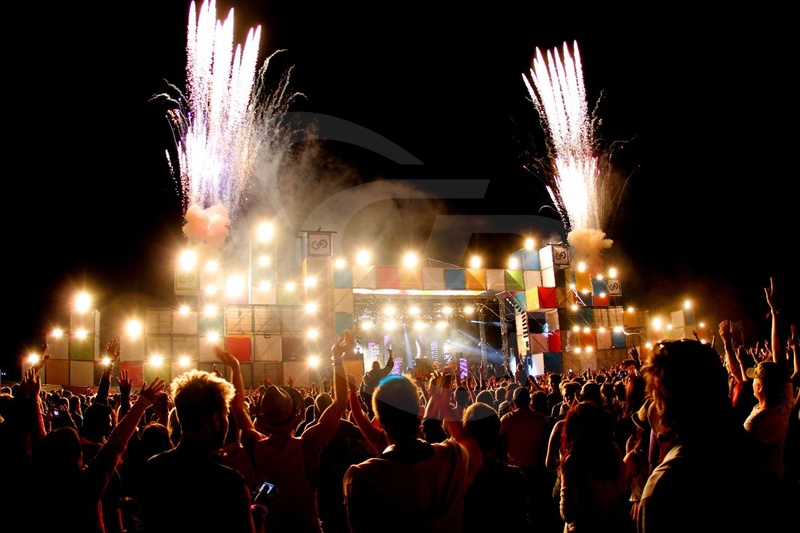 Global Gathering is a festival for the younger generation by its choice of line up, and because of this it has had a long association with drugs culture. “Drugs at a festival, that’s unheard of!” you may cry cynically. Well yes, it may seem a little trite to mention it, but rightly or wrongly electronic music has long been associated with the use of ecstasy and LSD. This may be slowly changing as festivals are better policed and they become more about the enjoying experience for what it is and less about taking mind altering substances to try to enhance it. Being based next to an airfield has allowed for a unique set of entertainments to entertain the crowds in between sets. 2007 saw the debut appearance the Red Arrows, the elite team of jet pilots who performed amazing aerial acrobatics to wow the watching thousands. Global Gathering has also been staged in airfields in Belarus and Ukraine, although this has more for space reasons than anything else. VIP ticket holders can experience a series a range of benefits including exclusive VIP, woods, fields and campsites containing bars, food outlets and high quality washrooms and showers. Global Gathering has grown from a niche festival riding the crest of wave to an institution of the British summer for electronic fans. If you were born slippy and like your punk daft, there’s only one option.